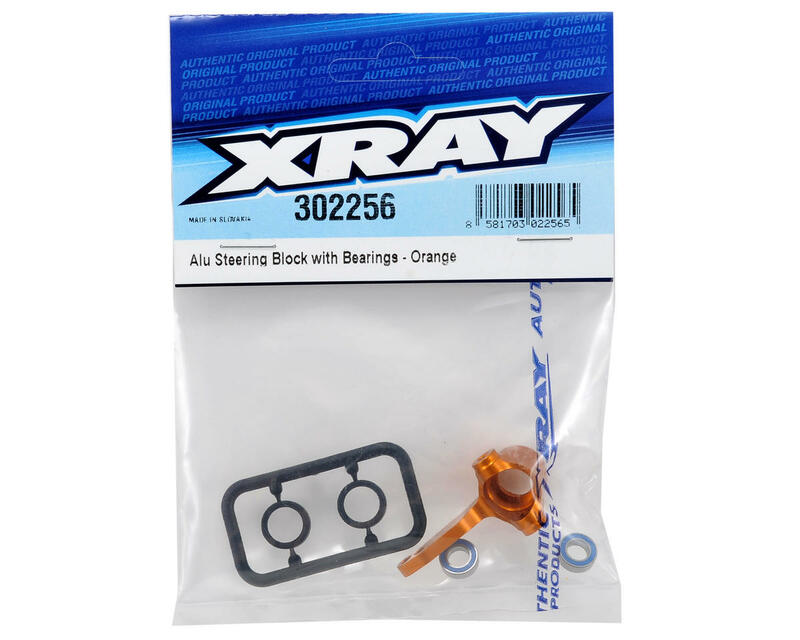 This is a optional XRAY Aluminum Steering Block with 5x9x3mm Bearings, and is intended for use with the XRAY T2 family of vehicles. This Aluminum Steering Block has been CNC-machined from premium lightweight T6 aluminum, and polished for a luxurious and stylish finish. Ultra-strong construction provides very long life and durability in even the most extreme racing conditions. Composite bushings are used to secure the ball-bearings in both sides of this steering block. 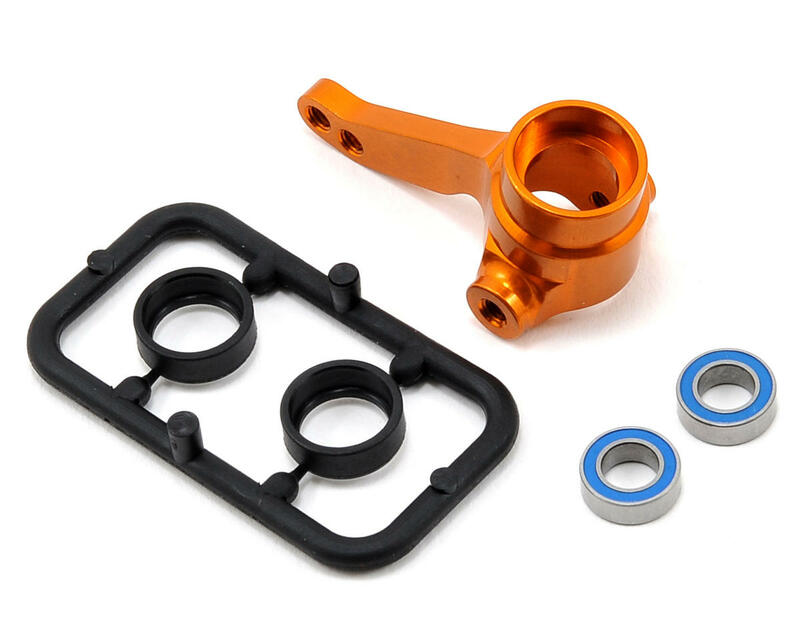 This allows the ball-bearings to fit perfectly and turn freely, providing a much longer lifespan compared to bearings installed directly into aluminum steering blocks. Includes two nylon bushings and two 5x9x3mm ball-bearings. Fits left or right sides. NOTE: This aluminum steering block uses 5x9x3mm bearings.